Freedom Munitions ProMatch 9mm Luger 135gr HP Ammunition - Box of 50 | BUDK.com - Knives & Swords At The Lowest Prices! 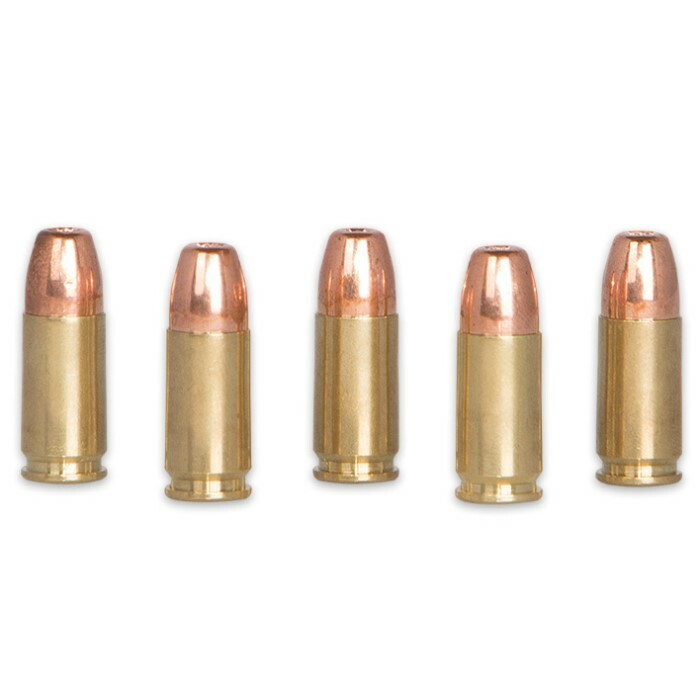 Freedom Munitions' ProMatch 9mm Luger precision pistol ammunition features an X-Treme copper plated bullet and is loaded for consistency and the highest levels of accuracy. Developed and tested in Idaho at Freedom Munitions' state-of-the-art ballistics lab, ProMatch rounds deliver superior quality and performance, but at a fraction of the price of traditional match grade ammunition. 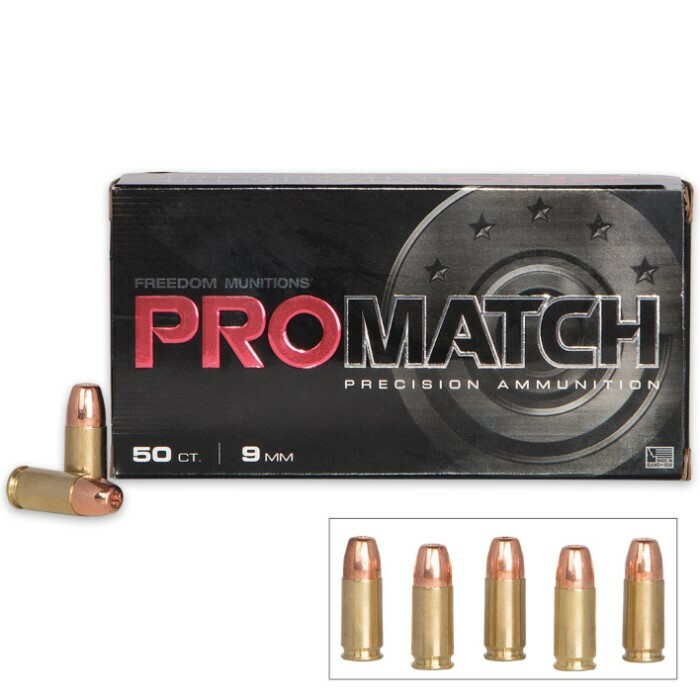 Whether practicing or competing, American-made ProMatch Precision Ammunition is always reliable, accurate and won't break the bank.